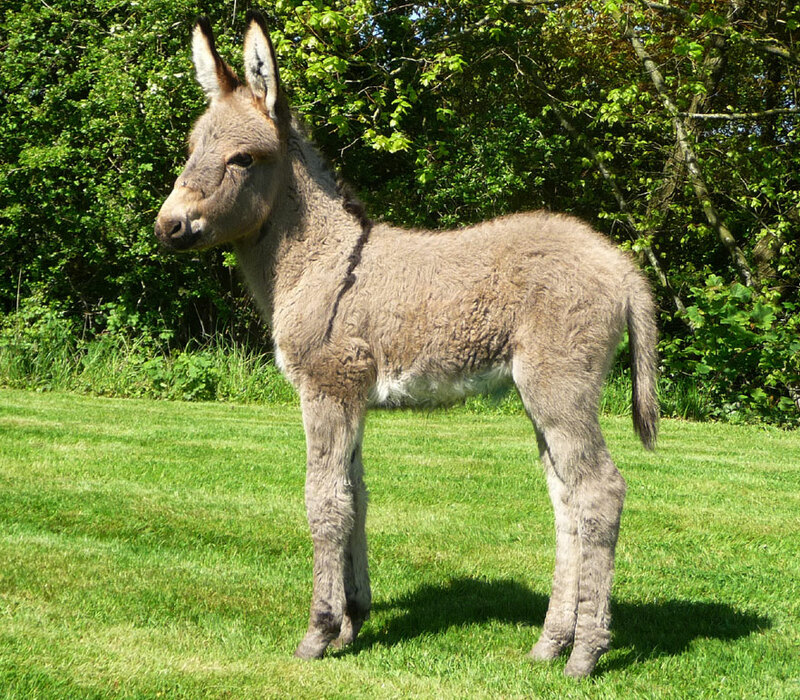 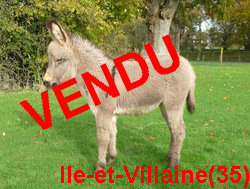 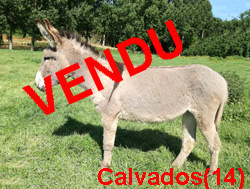 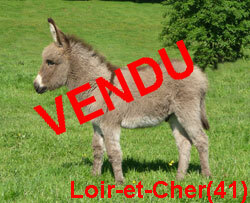 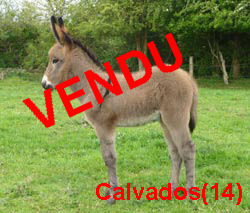 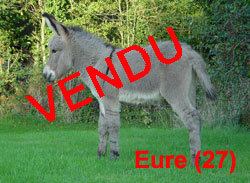 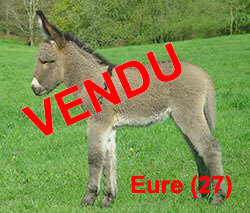 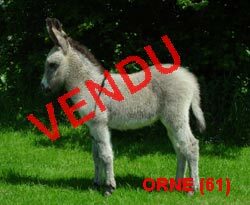 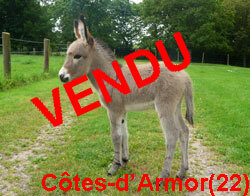 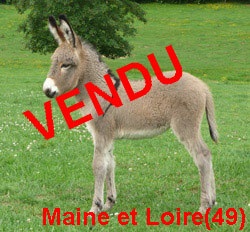 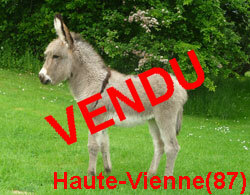 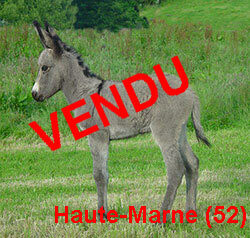 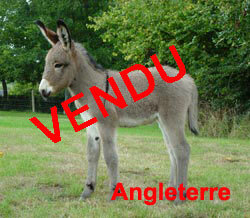 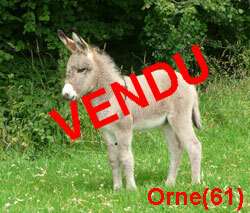 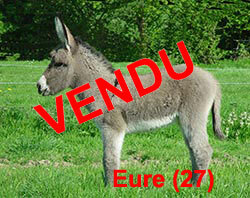 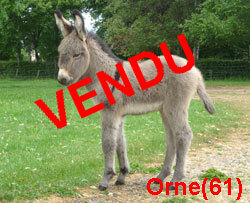 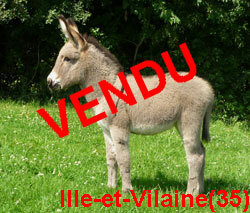 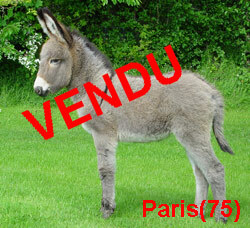 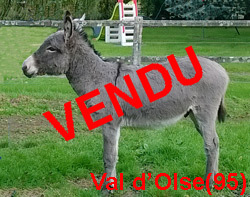 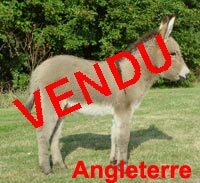 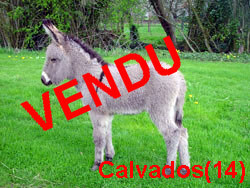 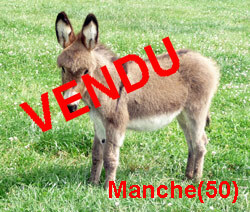 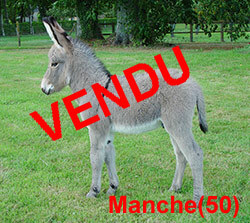 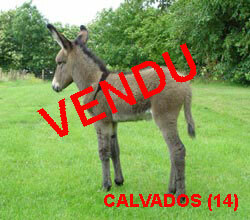 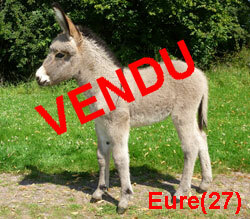 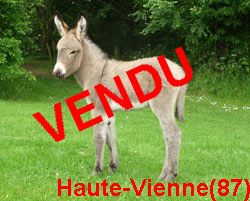 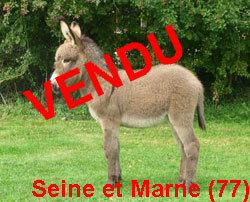 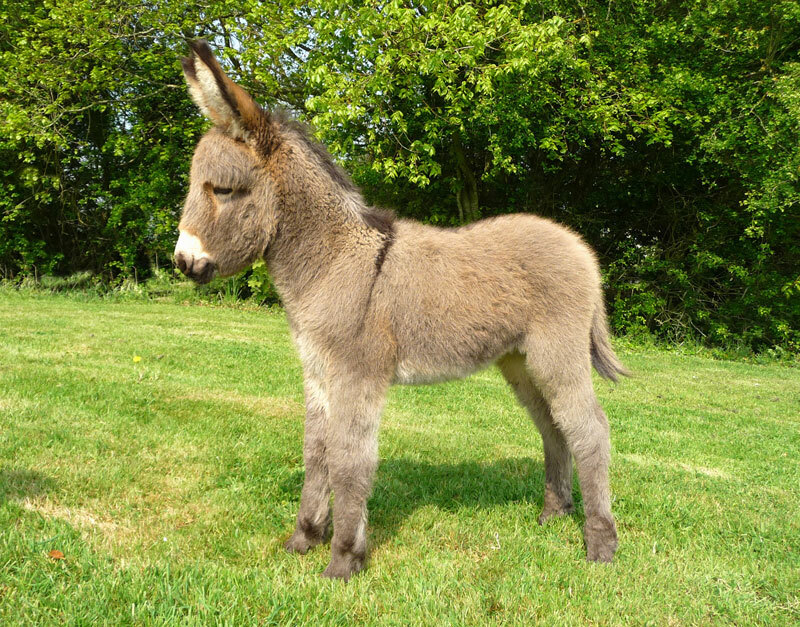 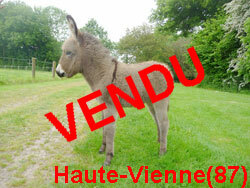 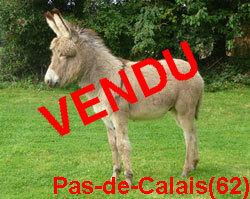 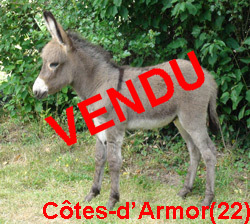 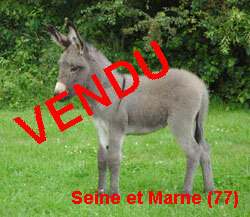 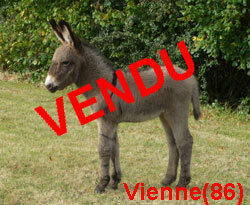 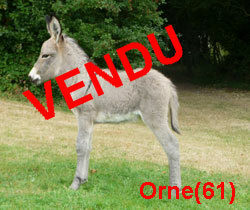 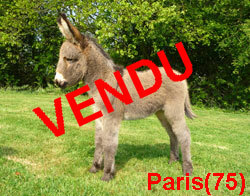 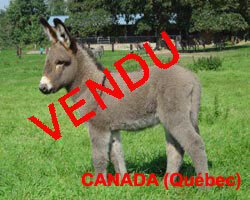 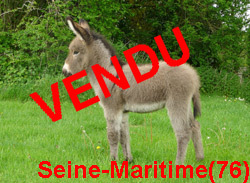 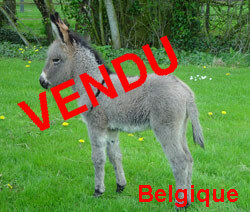 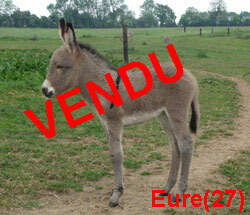 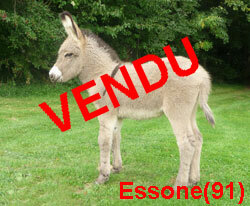 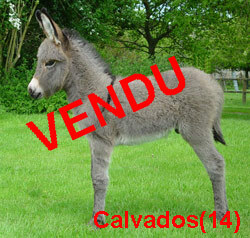 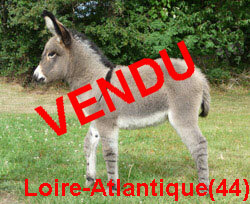 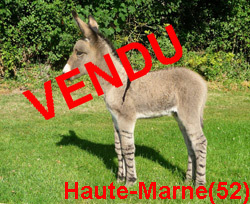 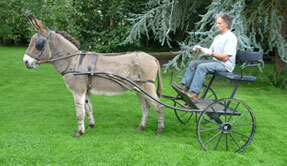 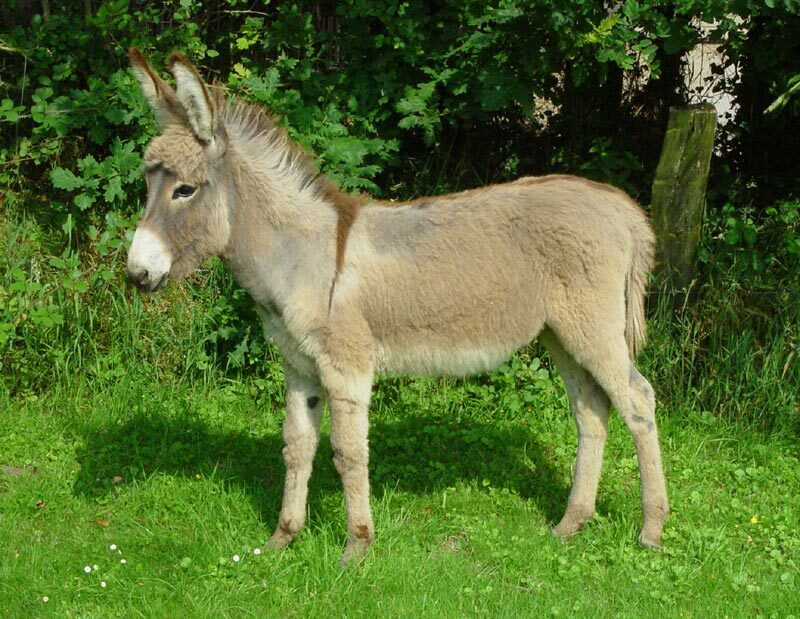 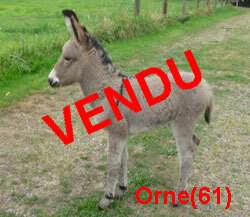 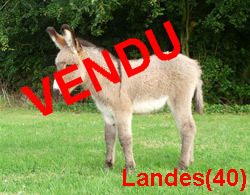 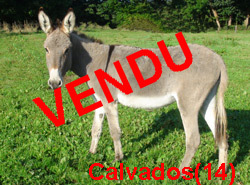 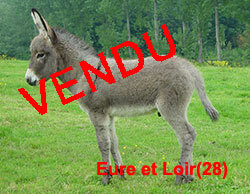 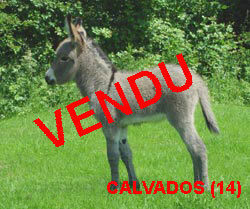 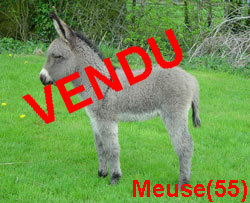 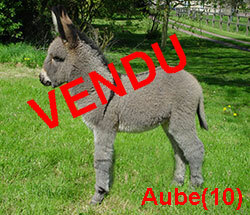 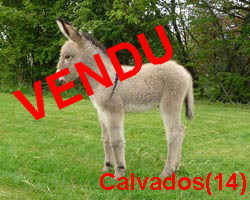 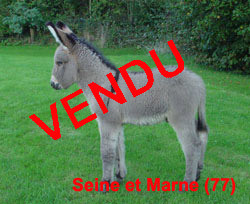 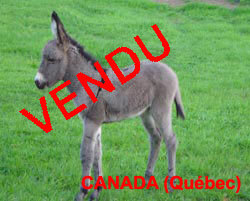 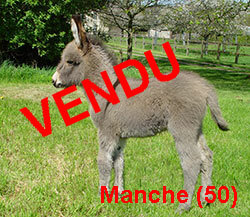 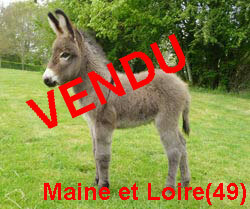 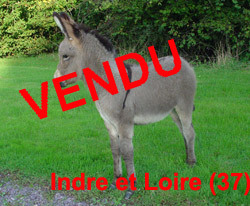 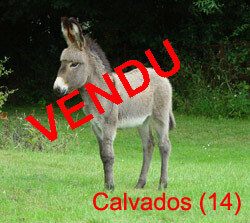 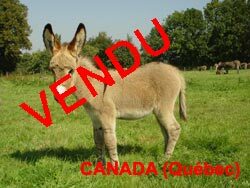 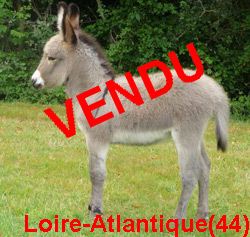 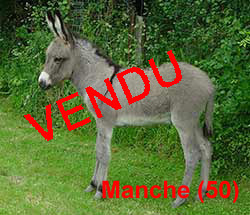 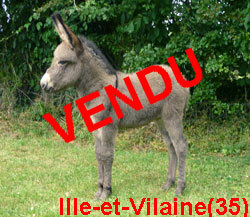 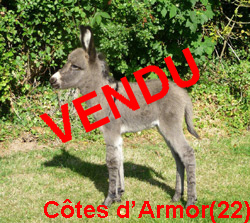 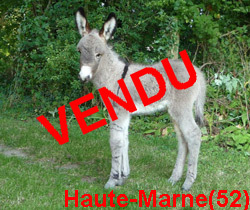 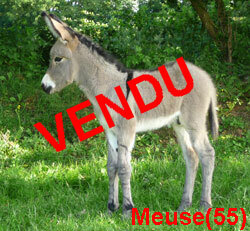 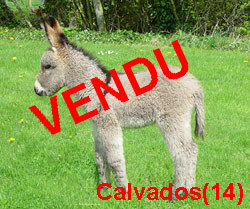 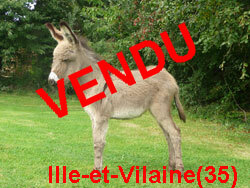 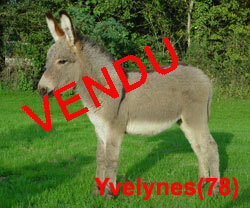 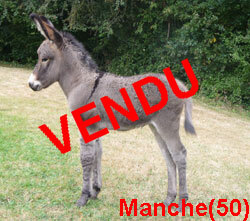 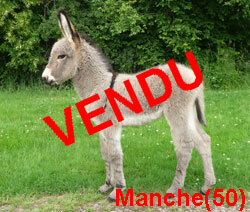 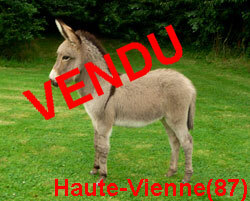 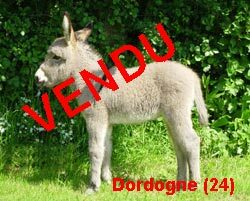 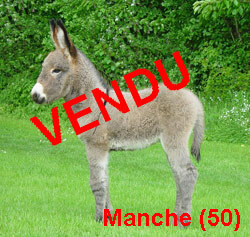 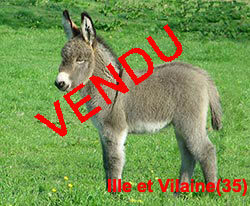 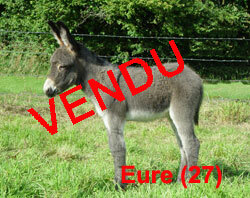 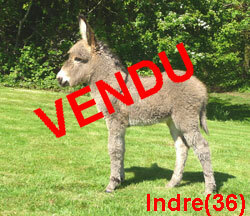 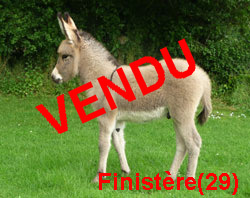 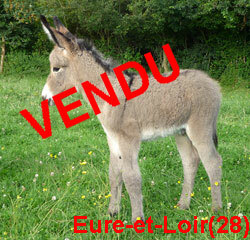 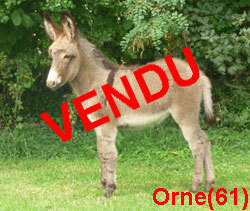 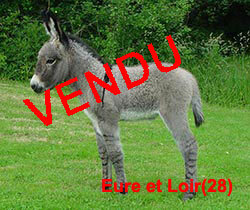 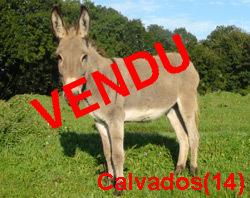 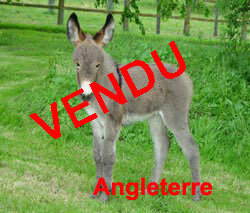 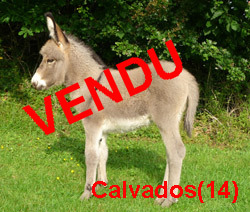 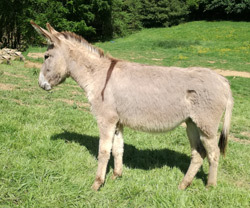 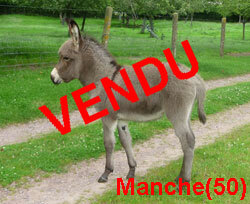 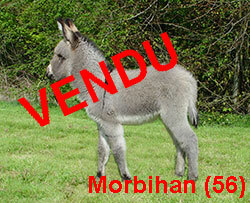 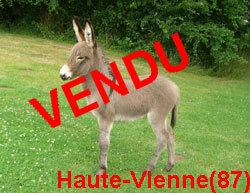 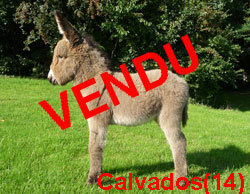 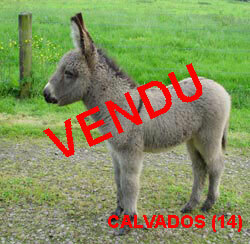 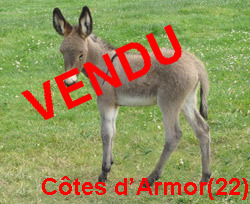 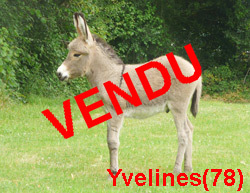 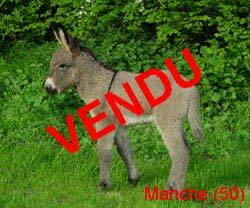 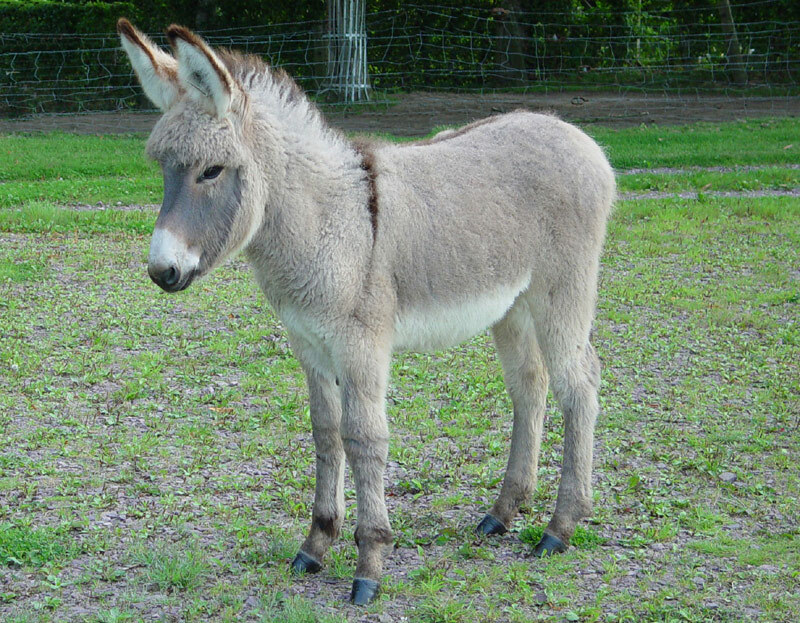 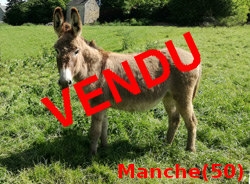 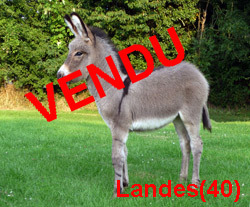 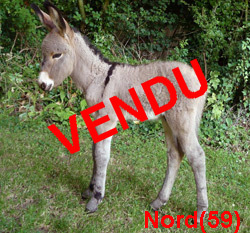 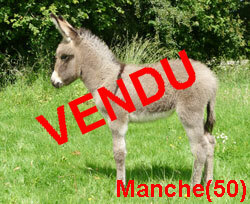 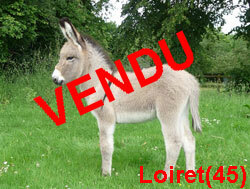 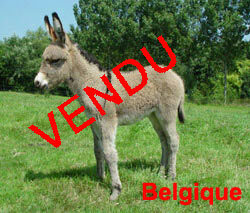 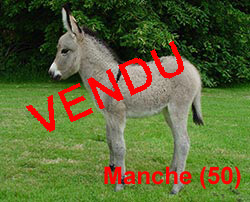 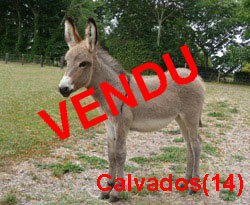 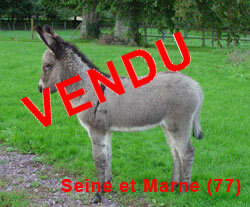 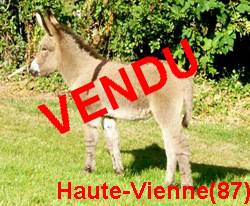 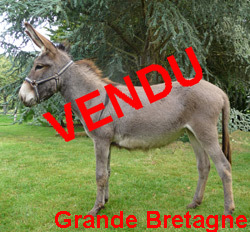 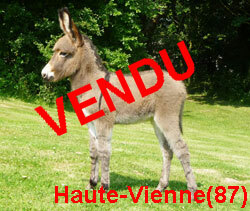 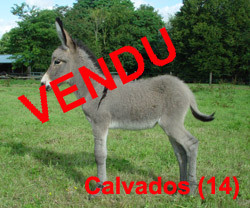 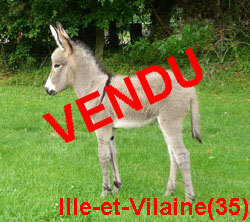 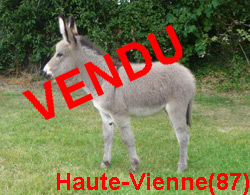 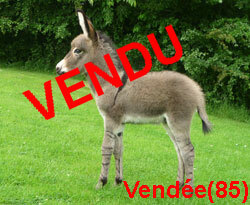 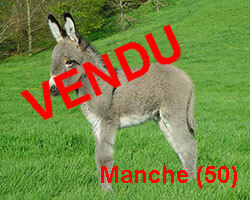 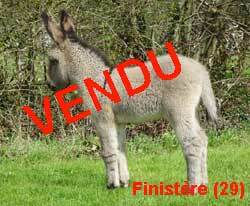 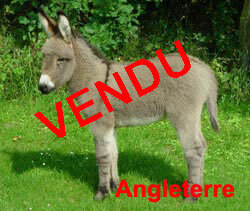 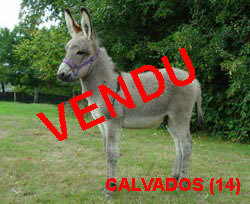 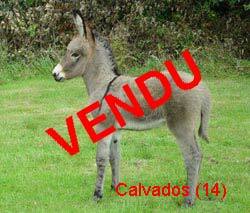 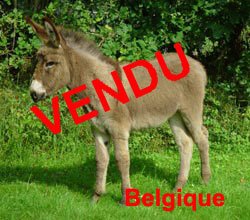 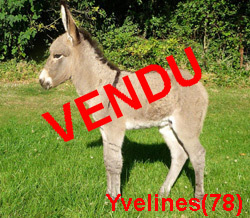 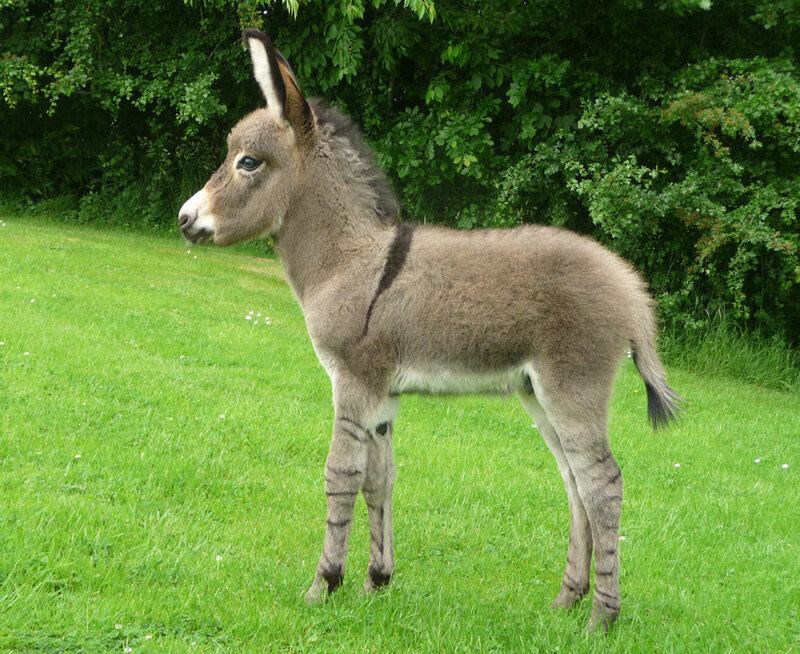 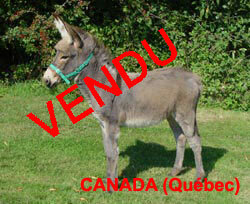 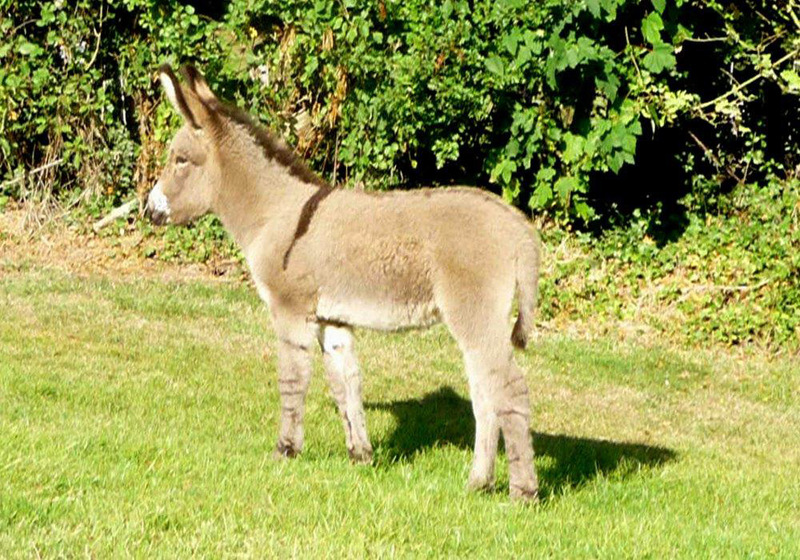 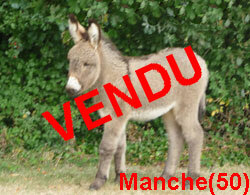 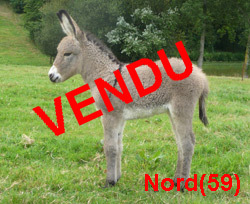 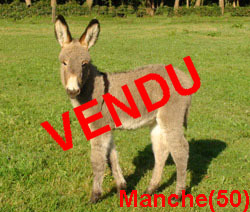 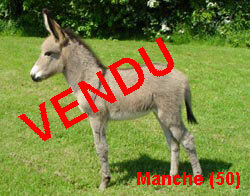 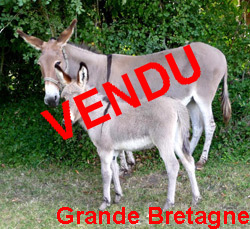 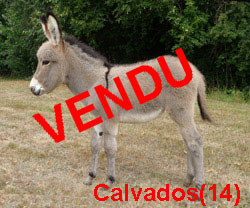 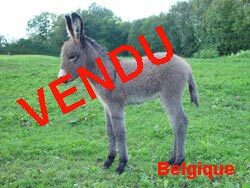 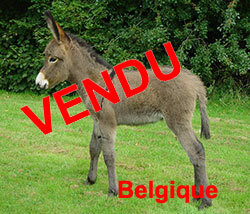 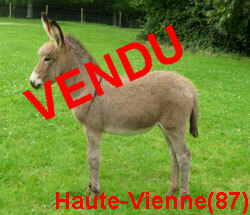 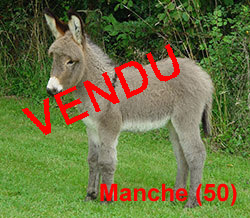 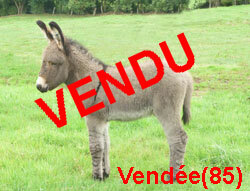 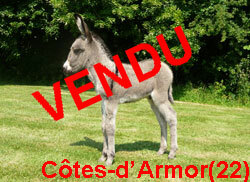 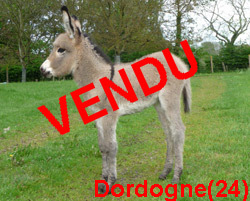 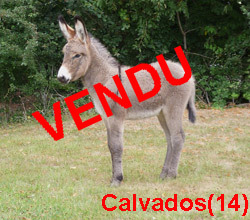 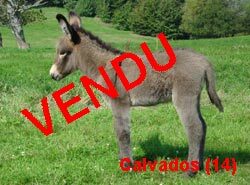 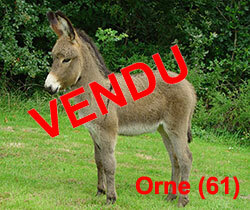 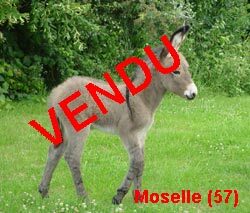 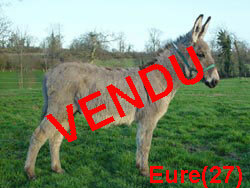 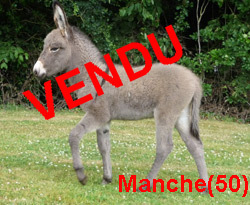 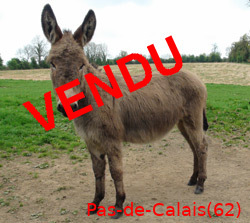 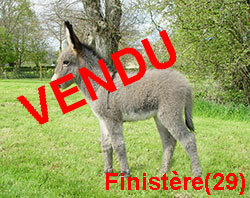 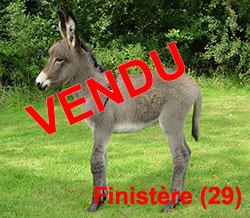 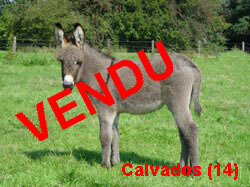 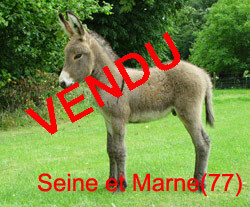 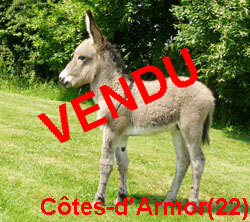 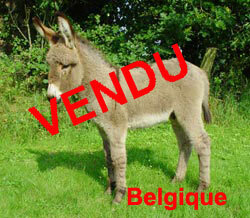 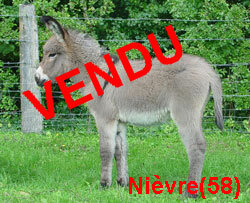 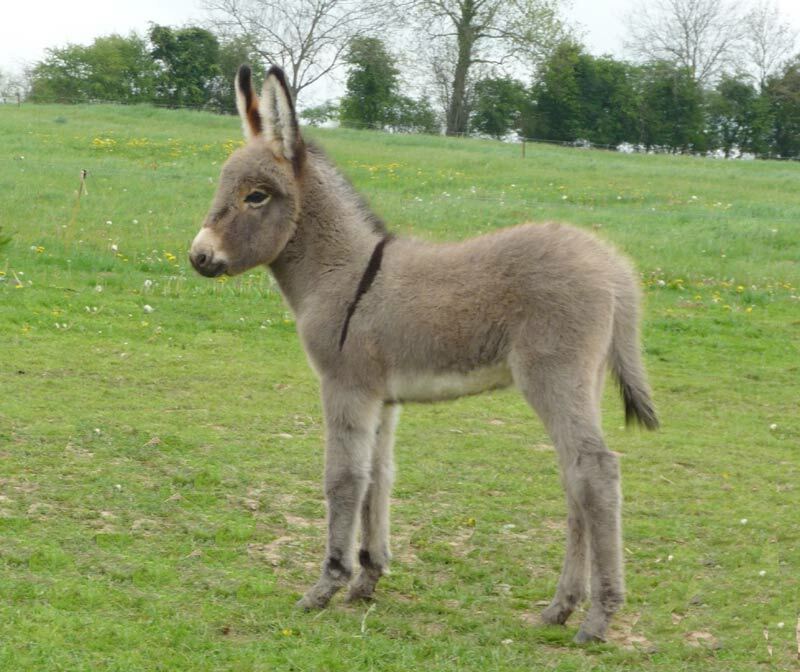 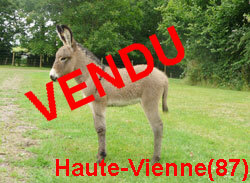 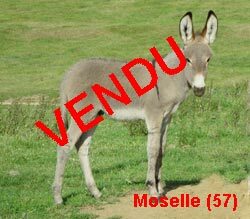 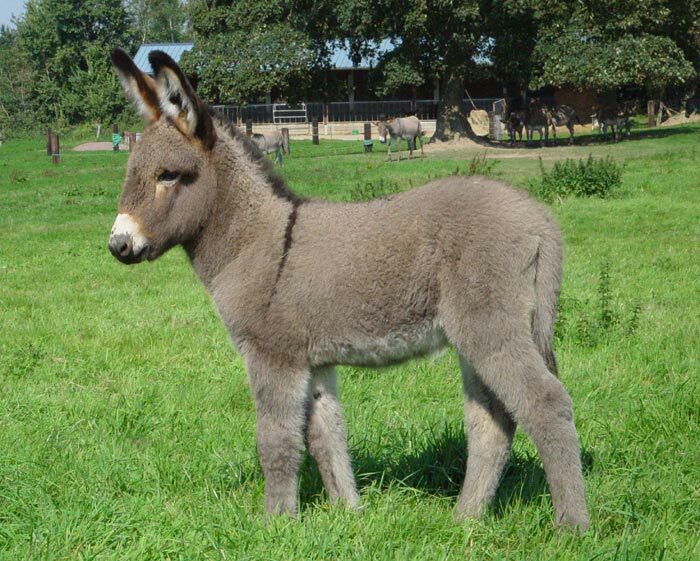 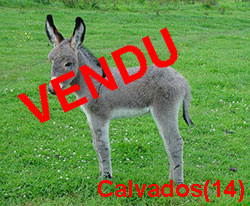 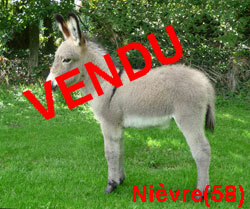 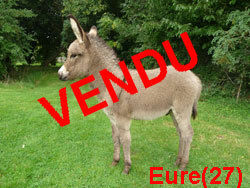 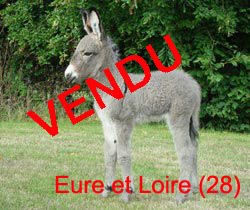 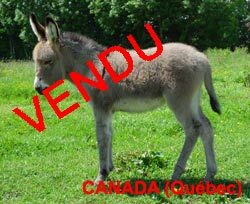 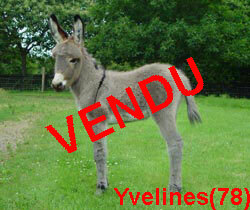 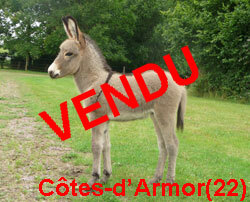 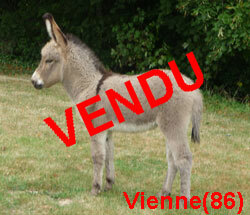 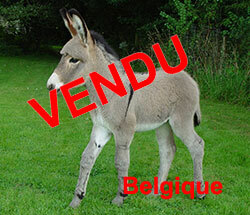 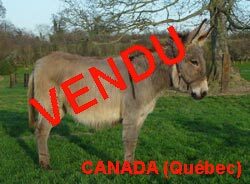 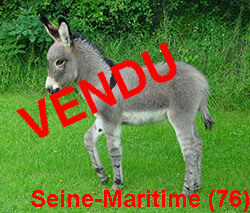 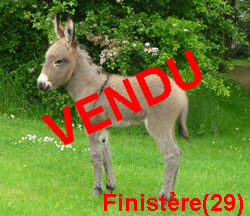 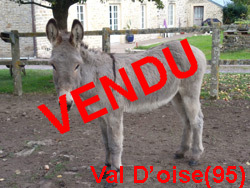 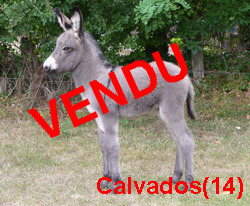 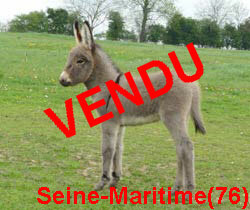 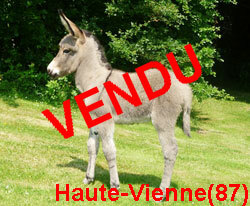 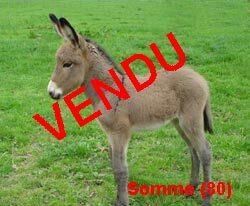 All the donkeys for sale on this site are from our breeding stock and will be sold with a registration certificate "Cotentin donkey" issued by the National Stud farm. 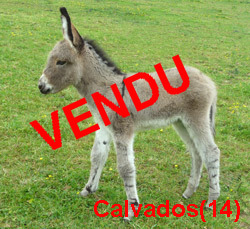 When you buy a foal of six months, they will have had the required vaccination. However, using a transponder reader, you will be able to check that the microchip number of the foal is the number writen on the identification card. 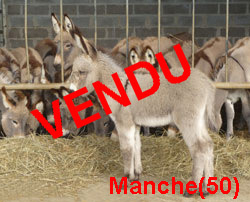 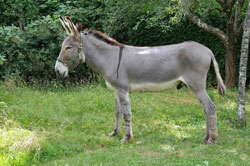 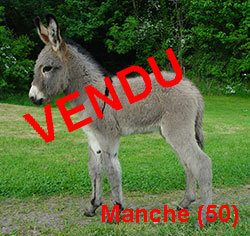 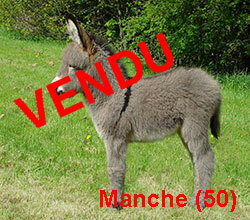 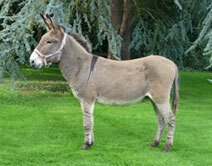 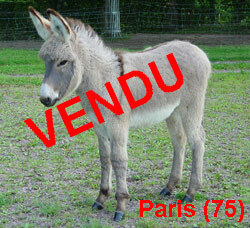 Beware, their still remains a great number of donkeys on the market without identification. 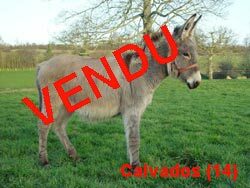 Since the first of January 2003, all equidaes have to be identified and have an identification card from the National Stud farms. 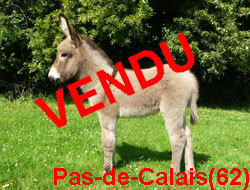 Our first concern is that you acquire a donkey which gives you complete satisfaction.